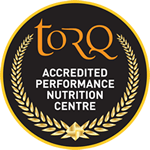  TORQ bar earned 5 stars out of a possible 5 in every category. 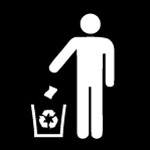 Now that can’t be bad can it eh? 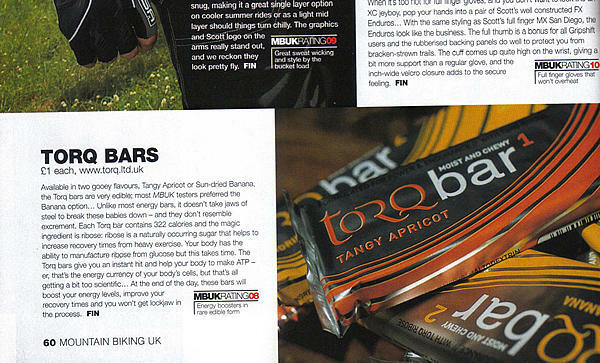 Bike magic concluded “TORQ has come up with a winner here. 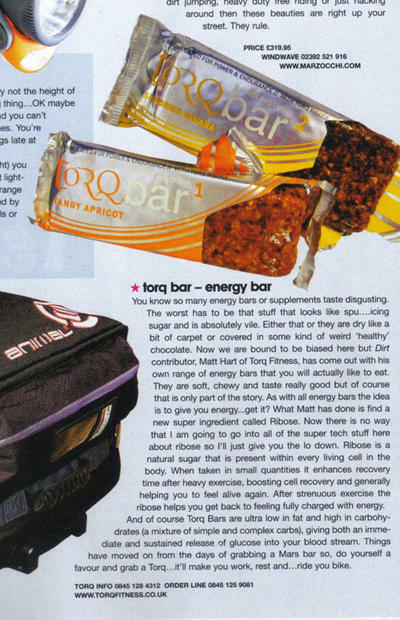 These bars taste good, do good stuff once they’re in there and the price is very reasonable”. 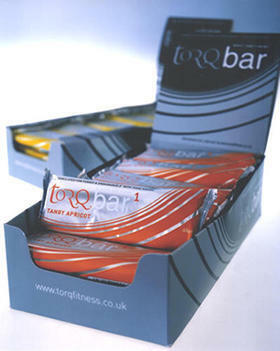 * Available in two gooey flavours, Tangy Apricot and Sundried Banana, the TORQ bars are very edible. 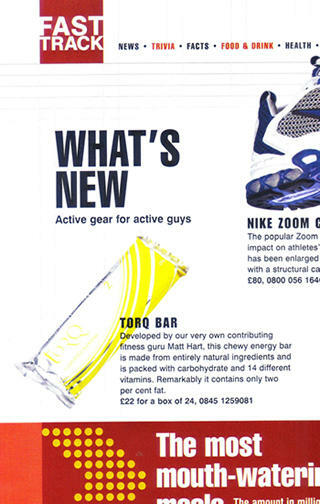 * Energy boosters in rare edible form.